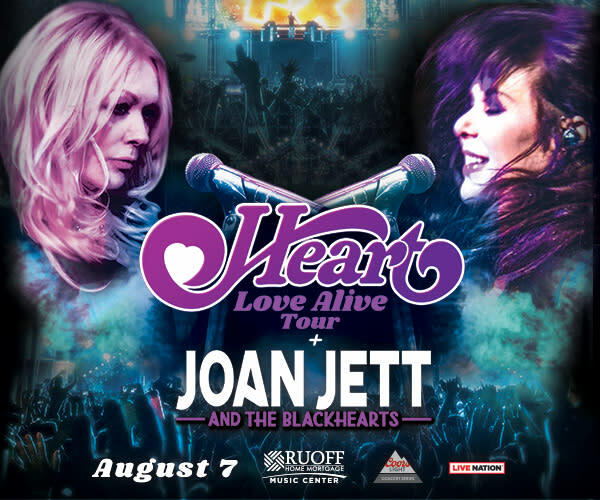 HEART--ANN and NANCY WILSON--will return to the road in 2019 for the first time in three years with their massive "Love Alive" cross-country summer tour. Produced by Live Nation, the expansive 39-city outing by the trend-setting, multiple-platinum Rock & Roll Hall of Fame legends kicks off Tuesday, July 9 at the Hollywood Casino Amphitheatre in St. Louis, MO and will make stops in Chicago, Atlanta, Houston, Denver and more, before wrapping September 9 at the famous Hollywood Bowl in Los Angeles, CA. 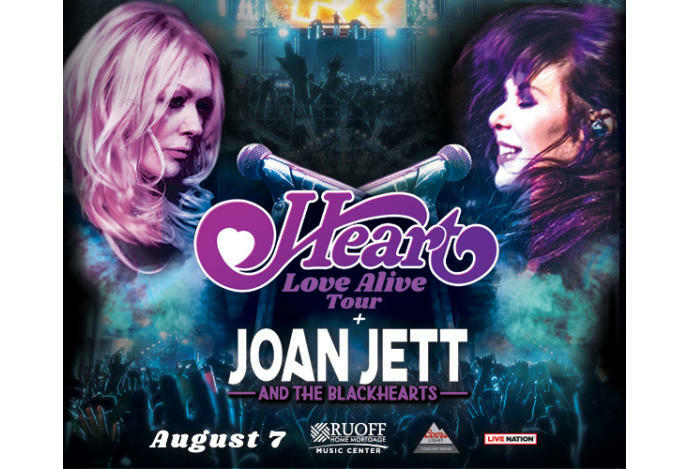 The HEART tour will make a stop at Ruoff Home Mortgage Music Center in Noblesville, Indiana on Wednesday, August 7, 2019 as part of the Coors Light Concert Series with special guests Joan Jett & The Blackhearts.